PORTLAND, Maine — Lawsuits in which Republican Gov. Paul LePage hired outside legal representation have cost the state at least $110,000 since last fall, raising the total expenditures to at least half a million dollars over the past four years, according to a review by The Associated Press. The governor sued Democratic Attorney General Janet Mills in October for joining a legal effort in support of protections for young immigrants facing deportation. He is also suing her for refusing to provide him with public records concerning Mills’ opposition of immigration bans imposed by President Donald Trump. And LePage himself is facing a long-running lawsuit by Democratic gubernatorial candidate and former House Speaker Mark Eves for allegedly sabotaging a private-sector job offer. Both Eves and Mills are running for governor, and have qualified for the Democratic primary. There’s a confluence of partisanship, personality and institutional design that created conflict, leading the governor to hire his own lawyers. Maine’s attorney general is the only one in the country to be appointed by the Legislature, so Mills doesn’t answer to the executive branch. Throw on top of that strong personalities and partisanship, and there’s a recipe for clashes, said Mark Brewer, a political scientist from the University of Maine in Orono. “We know that Paul LePage has an outsized kind of personality. He’s combative. He’s a scrapper. He’s certainly not going to back down from a confrontation. And Janet Mills has an independent, combative streak of her own, so she sort of enjoys going up against the governor,” he said. The governor declined comment on the litigation costs, and has previously accused his political opponents of leading a “witch hunt” against him. He filed the latest lawsuits against Mills last fall, when a judge dismissed LePage’s previous lawsuit accusing Mills of abusing power by refusing to represent him in court. 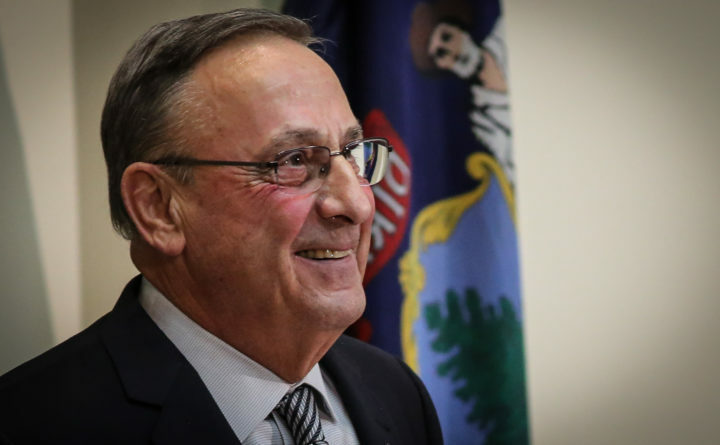 Since August, the LePage administration has reported directing $45,114 from the state’s general fund to Skelton Taintor & Abbott, which is representing the governor in litigation against Mills. Eves’ lawsuit against LePage has cost $65,740 so far this year. Maine’s risk management fund reported paying the money to Consovoy, McCarthy, Park PLLC, which is defending the governor. The latest expenditures bring the total payments to outside lawyers to at least half a million dollars. Last year, the AP found that LePage’s legal fees totaled $385,000 since 2014, based on a review of a database of state governmental finances. The tab for the Eves lawsuit will continue to grow as the case goes to the 1st Circuit Court of Appeals for arguments on April 3. Eves contends the governor violated his rights by threatening to withhold money from a charter school that intended to hire him. The job offer was ultimately rescinded. The governor has argued he enjoys immunity from the lawsuit, which roiled the State House and led to a failed impeachment attempt.